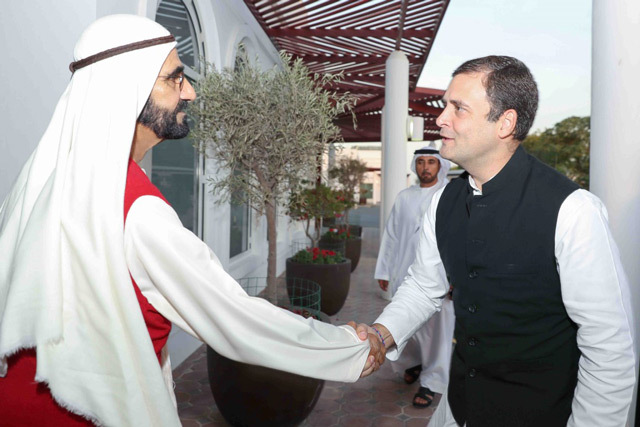 His Highness Sheikh Mohammed bin Rashid Al Maktoum, Vice President, Prime Minister and Ruler of Dubai, today received Rahul Gandhi, the President of the Indian National Congress. The meeting, which was attended by H.H. 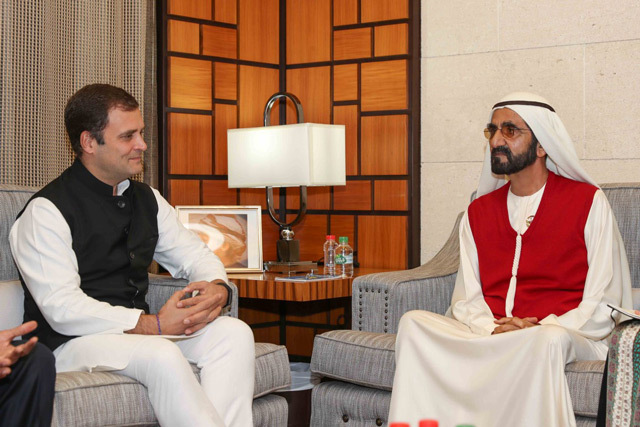 Sheikh Maktoum bin Mohammed bin Rashid Al Maktoum, Deputy Ruler of Dubai, shed light on the historical relations between the two countries and their solid bonds of friendship. 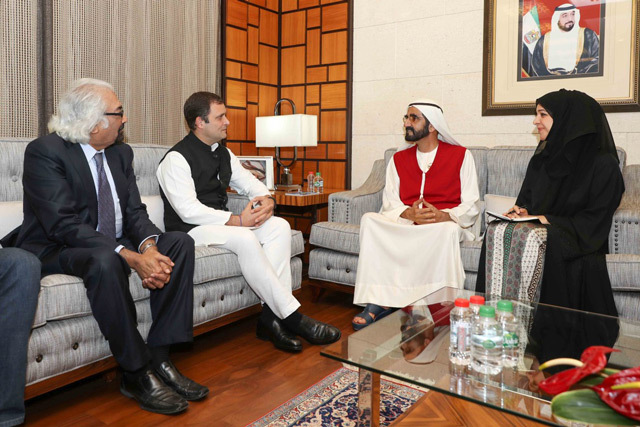 Gandhi commended the great developmental strides made by the UAE and the impressive transformational drive adopted by the country at all fronts. He also praised the tolerance model adopted by the country, which, he said, is an example to be emulated by all world nations. Attending the meeting wee H.H. Sheikh Ahmed bin Saeed Al Maktoum, Chairman of Dubai Civil Aviation Authority and Chairman and Chief Executive of Emirates Airline and Group; Mohammad bin Abdullah Al Gergawi, Minister of Cabinet Affairs and The Future; Dr. Anwar bin Mohammed Gargash, Minister of State for Foreign Affairs; and Reem bint Ibrahim Al Hashemy, Minister of State for International Cooperation. Also attending the meeting were Mohamed Ibrahim Al Shaibani, Director General of H.H. The Ruler's Court; and Khalifa Saeed Sulaiman, Director-General of Dubai Protocol and Hospitality Department.